I really feel that these DC Direct to DVD movies should be much better than they have been. The New Frontier was great, but Wonder Woman, Gotham Knight, and Superman Doomsday were all disappointing. First Flight was the second best of the lot, but it was only so-so. I hope Superman/Batman Public Enemies lives up to the potential inherent in the idea of adapting the finest offerings from DC Comics into animated movies. 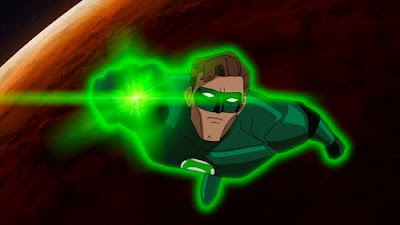 If nothing else, it will be cool to have the Kevin Conroy/Tim Daly/Clancy Brown voice cast back and joined by Allison Mack as Power Girl, LeVar Burton as Black Lightning and Michael Dorn as Black Manta (what, they couldn't get Avery Brooks to play Black Atom, or Zoe Saldana to play Black Canary?). It's certainly fun playing Batman Arkham Asylum with the voice cast from Batman the Animated Series. A comment? What the hell?! The reason I hold out no hope for Public Enemies is that read the comic it was based on, written by Jeph Loeb. It's total garbage. Animating it won't kill the stench.